Get insight into the best practices for improving the adhesion of inks, adhesives and coatings to surfaces with plasma, corona and flame. 1. 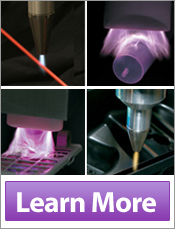 What is in-line surface treatment? 3. Does it work on all types of materials? 4. Who uses in-line surface treating? If you can't make the live webinar, register for access to the recording and a copy of the presentation slides after the event.